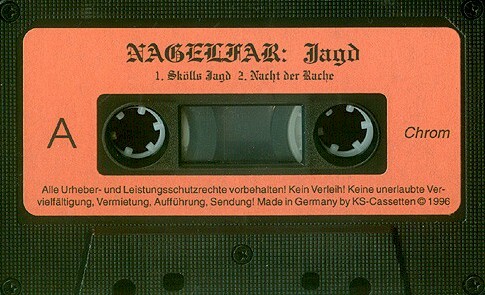 Nagefar was created 1993 by Rhyktius V. Grhabakk von Meilenwald and Zorn. The band suffered from constant LINE UP problems. After a long search they found a fellow combatant in Smaug. Feasting man Sveinn of Hackelnberg became acquainted with Rhytkius and Smaug on a party and entered at the beginning of of 1995 as bassist with Nagefar. In the autumn 1995 Smaug was replaced by Jander. At the end of of 1995 this lineup made their first demo "as the gates opens" and it had a positive reaction. 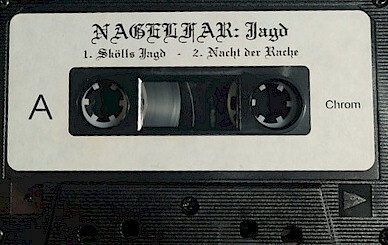 With their second demo "hunt", which appeared in October 1996, secured Nagefar a contract with the young rising label "chain dog record" from Bremen.